The following week (one week from today, actually) we are going back to my hometown- JANESVILLE, WISCONSIN-for one of my best friend’s weddings! Although I’m not too anxious to get on the plane at 32 weeks pregnant, I CANNOT WAIT to see my old friends. The most insane thing of all-Ian and I have been together for 6 years and hasn’t even met the beautiful bride before! Geesh! Actually, this will only be the second time Ian has ever gone back “home” with me. We have all kinds of fun stuff planned–just to name a few– we get to meet our GODSON, LJ, for the FIRST TIME EVER and we are getting maternity photos taken by one of the most talented photographers- Jessica Gutzman! Not to mention, getting to see some of our very best friends and some of the most important people in our lives! 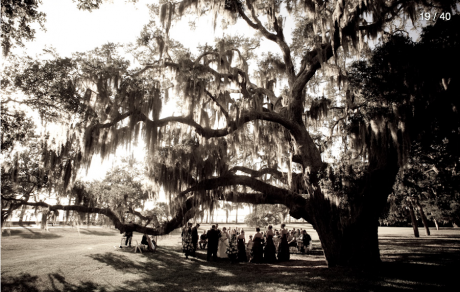 Our September wedding under the majestic live Oaks-perfect memories.